It is too late to put borders and taxes in place between UK and the other countries in EU if the next conclusion of Parliament’s vote is a « no-deal”. If the “deal” is voted, its will be the same thing, and like today, nothing will change in the circulation of goods and services! Why it is possible? With this affirmation, the result of the Parliament’s vote is without importance, it is only for the Prime Minister, Madam Theresa May, to reconcile the entire Parliament and the Citizens of UK behind the same vision of the future through the Brexit. She has not finished the fight and she can win, it is that I explain below! Why it is too late to put borders and taxes? It is preferable for me to add the term “useless” and speak about: « too late and useless to put, etc ». 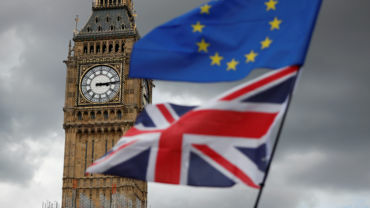 It is important to solve the future of UK after the Brexit, to have an overview and distant regard about the problems of borders and taxes, because these problems are not only located in UK, but it is in the geopolitical economic environment around UK that the problem which must be solved. To put borders and taxes between the UK and the others twenty seven European States, it is imperative that all these foreign countries apply the same decisions in front of UK concerning the Brexit. Never this situation will happen! I have explained in this article and in this other that the Irish Republic and Spain will want, de facto, with their common borders and the actual preferred economic relations they have with UK, the absolute necessity for these two countries to obtain a bilateral free trade agreement (FTA) and Theresa May try to obtain this FTA with the Irish Republic, country which share the same ground in Ireland, to save the ‘Good Friday” accord made in 1998 after thirty years of a terrible war, sometimes in the worst cases, between brothers in the same family. Nobody will want to see a “remake” of a war in Ireland. It is too possible to add the natural inclination of the Irish Republic to preserve the proximity with the UK facilities to access the City. This may be another argument on favour this FTA. For Spain, the second country in the same case, thirty thousands Spanish persons work in Gibraltar and for them, it is impossible to wait each day many hours to go and return from Gibraltar at home. A FTA is mandatory and place Spain, like IR, in the exceptional situation with no taxes or with special taxation between UK and them. It seems for me easier to obtain this agreement with Spain. Because there is no recent important contentious between Spain and UK and these two countries are, with an advance for Spain in the digital tax returns with “SII” since July 2017, and UK to begin the implement of “MTD” in April 2019, they have the technical means to levy directly the VAT on payments in the bilateral transactions and EU can do nothing if a FTA is conclude in this sense. Effectively, the European Union can do nothing against these two countries to negotiate a bilateral FTA, and too, for the other EU Member States. It is not in the role of EU, due the cause of subsidiarity, to interfere in these negotiations or agreements. We have seen that with the treaty of Aix-La-Chapelle between France and Germany (22 January 2019) and too with the treaty of Touquet signed by Nicolas Sarkozy with UK, a country outside of Schengen Space. Now, if two countries have special conditions, without tax or with a special agreement, it is impossible for the other European Members States with these increased penalties to commerce with UK, penalities imposed by the EU in the case of “no-deal”. For Spain and IR, it is the jackpot. United Kingdom also will be in an exceptional situation with the “Rock” of Gibraltar, a corner-stone (no pun intended) to commerce around the world, a very big pebble in the European shoe (this article…). Never Spain will accept the final result and the constraints of the Brexit negotiations except to have an FTA. Remember you in the first Brexit document. Spain was not accepted to vote and will accept to sign later, only if the vote is associated to a FTA agreement between Spain and UK! It was the condition sine qua non to obtain the Spain vote and that is the confirmation of this factual situation. The EU wants to break this possible situation (24/01/2019) to gives more time for UK to bring a vote with a deal where this situation would never happen. No border between Spain and Gibraltar and no border in Ireland and it is the end of the borders with the United Kingdom and it easy to think now that these two countries will concentrate all the European transactions with it. Spain and Irish Republic are transformed, de facto, on fiscal paradises. They will impose the tax rules in Europe by destruction of the actual European Single Market and replace it by a system where the local VAT in their transaction will be collected in each country of consumption with the local split payment. In the continuum of this subject, the European Commission gives for Italy after the digital tax statements, “la e-fattura”, apply the split payment in B²G transactions. It is now impossible for the EU to refuse the same advantages elsewhere in the other Member States. The conclusion of this future situation is for each Member State to have, at term, a special bilateral agreement with UK. This situation will modify completely the taxation in Europe. This was written in the draft signed document which define the framework for the future relationship between UK and EU. I quote page 5 article 22: « However, with a view to facilitating the movement of goods across borders, the Parties envisage comprehensive arrangements that will create a free trade area, combining deep regulatory and customs cooperation, underpinned by provisions ensuring a level playing field for open and fair competition« . To add in this context of split payment, in four States in USA, EBay a marketplace provider collect directly the tax on the payment. The tax evolution appends not only from Europe. China with the digital tax returns can apply, if confirmed, the NET payment with UK. The conclusion of this situation, it is for each European Member State to have, at term, a special bilateral agreement. This situation will modify completely the taxation in Europe. In a stupid precipitation after the European recommendations, the French government by “ordinances”, after the 29 March, will want to apply borders and tax, in the principal passage for goods to UK. Probably when all these goods will transit by Spain an Irish Republic directly with a reduced taxation due the FTA(s). In front of this situation, France will want to have the same advantages to commerce, the French government returns on its decision by suppressing borders and taxes with UK. These same processes will be wanted by all the European Member States and the solution certainly accepted by the UK Parliament. For obtaining a consensus, it is imperative for the Parliament to obtain very quickly these agreements with Spain and Irish Republic. With these two agreements, the borders automatically will be destroyed by the other twenty five Member States in Europe and it will not the fault of Madam May or the UK’s Parliament, its will be done by the European Member States! It is exactly the work today for Madam Theresa May who has understood this first mean to gather the Parliament in this way, to have an action to “suppress” the borders of UK since the foreign countries. The second mean is to share the “Deal” in two parts and obtain a positive vote on the part not concerned by the commerce. Two possibilities to put together the British citizens in a Parliament’s positive vote. This will prefigure the World Single Market without borders and taxes. Partager la publication "Brexit UK May be win"